At the recent press day for The Heat, we landed an exclusive video interview with director Paul Feig’s (Bridesmaids). The film stars Sandra Bullock as an FBI agent who teams up with a local Boston cop (Melissa McCarthy) in order to bring down a drug lord. 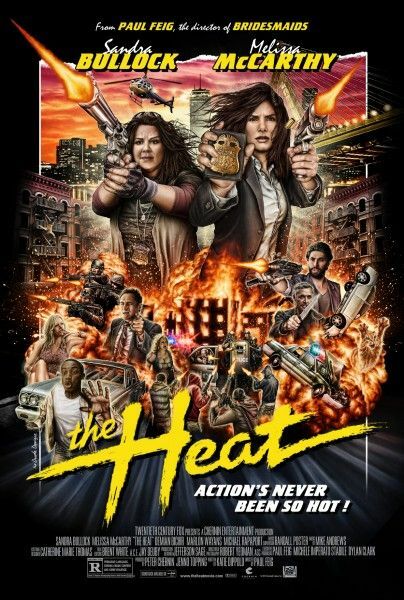 As you can see in the trailers and clips, the film features some excellent chemistry between Bullock and McCarthy, and it’s great to see two women as the leads in a buddy cop comedy. During the interview, Feig talked about how Hollywood rarely makes a movie with two female leads, how he prefers to keep the theatrical release short but provide an extended/unrated cut on the Blu-ray, who broke the most during filming, how things changed for him after the success of Bridesmaids, whether he will do more TV projects, and how he’s developing a comedy starring a female James Bond. Hit the jump to watch. The Heat opens June 28th. We talk about how Hollywood rarely makes a movie with two female leads. Also how rare it is to have two women as the leads in a buddy cop movie. How long was his first cut compared to the theatrical release. Talks about how he doesn’t like to do long cuts as a release.